This event will be fun for the whole family. Bring the kids for the bounce house, dunk tank, sno-cones, funnel cakes, and much more! A $1 donation will get each person in the event. Enter your car, truck, or motorcycle in the contest for $25 outside, and $50 for inside spots. 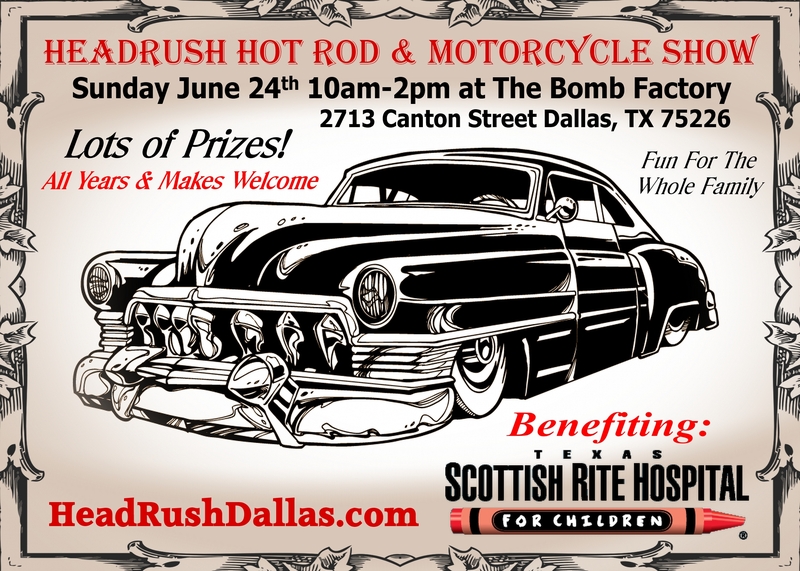 Car & Motorcycle prizes will be awarded for Modern, Classic, Vintage, and Best in Class. Awards will be presented at 1pm. Sponsorship packages are available. Be a leader in your community! All proceeds benefit Texas Scottish Rite Hospital For Children. Pre-Register your vehicle now! You can pick up an outside spot for only $25 or get a premium place inside for $50. Please note that to secure an inside spot you must make sure your gas tank is less than 1/4 full. Click the Website link below to Pre-Register.